This is definitely the look you want when having guests around in the summer. BBQ in the day, and this beautiful setting as the evening sets in. Very tranquil and for sure to keep everyone warm as darkness draws closer. Fire glowing, drinks flowing & You wouldn’t even notice time go by. Remembering the old Telephone, can you imagine how children would manage if we went back in time? No Mobile Phones, No Laptops, iPhones, iPads or even iPods. I have to admit I don’t know where I would be without my iPad or my Laptop. However I would give my right Arm to go back in time, even just for one day! Gosh! I even wish I was back in High School. My children say to me ‘Are you serious? you must be mad’ Well lets see what they will be saying when they get to my age. We all love Candy and whatever the Venue these are sure to go down a TREAT. I love the different variations to choose from & Colours that match the event too. Weddings – Christenings – Birthdays & many more. Go on TREAT yourself…You know you want to ( I Do ). If I could do it all again this is what my guests would have to look forward to. 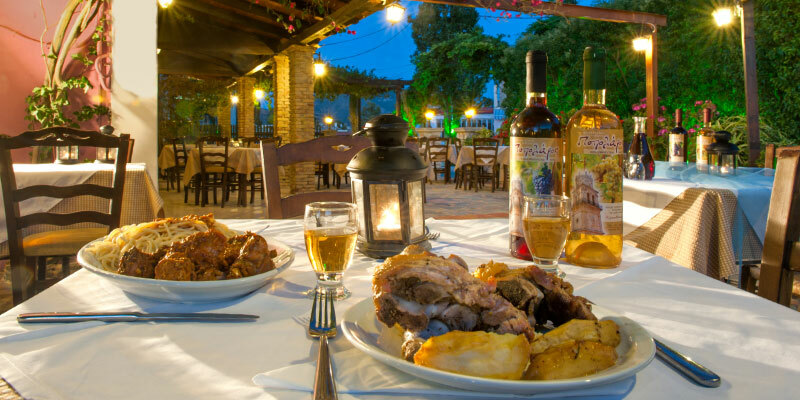 A beautiful Greek setting and what better way to do it. This could also be achieved if your lucky enough to live by the water but definitely a summer setting watching the sun go down whilst enjoying the view. I ate here at this beautiful Taverna back in 2001 in Zakynthos Greece. Delicious Food – Stunning Scenery – Lovely People. Now this is my kind of living. I would gladly give up the UK for this.